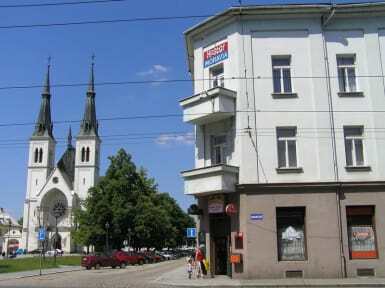 Hostel Moravia offers cheap accommodation in Ostrava with excellent accessibility. 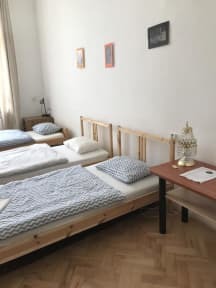 Located 400 m to the train station or one tram stop, which can be accessed directly in front of the hostel. Free public parking is possible at a location nearby. The Stodolni Street is 1.8 km from the property and the National Cultural Monument the Lower Vitkovice is located 3.5 km from the hotel. Leos Janacek Airport is 20 km away. In total of 26 rooms we offer accommodation capacity of 55 beds. The rooms have shared bathroom facilities and some feature free Wi-Fi access. Age Restriction: You must to be 18 or older to make a booking.